Featured in Episode 998 is Jason Hartman’s second half of his interview with Doug on portfolio reviews. The two discussed how investors can better avoid sleepy money and make their finances work for them. Next, Hartman discussed the global real estate market, specifically in Europe, with Dr. Eric Pichet, the Professor and Director of Specialized Masters’ Program in Wealth Management & Real Estate Management at the KEDGE Business School in France. 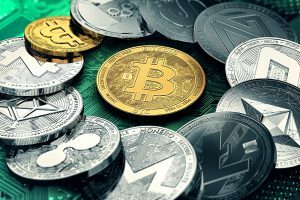 They covered topics of cryptocurrency and the views governments have on it, as well as the lack of a global real estate market. Jason Hartman opens episode 998 announcing that there are some special plans coming up for Episode 1000, which is set to publish next week. There will be a review to prepare for, but in this episode, Part Two of Doug’s interview will be featured on portfolio reviews and makeovers. He has created a nice piece of miniature software for the exercise, and Hartman reminds listeners that he would be glad to have one-on-one private sessions on portfolio reviews for those who attend the May 19th event in Philadelphia. The Creating Wealth seminar is set to take place Saturday between 9:00 am and 6:00 pm. Registration will start at 8:30 am, and the event will take place at a gorgeous hotel. If you’ve registered for the event, you know the name of the location. There will be two local market specialists in attendance who will present their properties and talk about the market at this original Creating Wealth seminar. Hartman notes that he is the original investment counselor and came up with the term “investment counselor” though a lot of people in the industry have now adopted the use of it. Memorial Day weekend following the Creating Wealth seminar is the Venture Alliance trip in New York City. If you’re interested in either of these events, please speak with your investment counselor or visit www.jasonhartman.com/events or www.venturealliancemastermind.com for more information. Continuing the interview with Doug, he explains that what Hartman is going to do in the private portfolio reviews is look at a simple spreadsheet and list personal assets. These assets include primary assets, investments, FICO scores, stocks, etc. He will be looking at the value, loan balance, disposition, and cost. Doug states that if you want to do something different with your portfolio, Hartman will help estimate your cost as well as cashflow per year and equity. This review will determine what your return is in your real equity. Investments will have higher equity than primary residence. Hartman adds that he’s going to be looking for lazy or sleepy money, explaining that if you’re a boss, you don’t want a lazy employee. You want them active and working and should want your money to be active as well. Doug mentions that if a certain distribution of your net value is shifted around, it can create more value. This is what an entrepreneur does, as the textbook definition of an entrepreneur is someone who takes resources and deploys them to their highest and best use. Taking your resources, finding their best use, and taking action is the aim, he says. Uber did the same thing by taking people’s cars that they weren’t driving and finding a better use for them. Investors are doing the same thing, but for tenants in exchange for rent. When asked what the finished product looks like, Doug gives a hypothetical example by stating that a client might have a combination of things like primary residence and their investments. If they’ve got roughly $700,000 worth of gross equity, they could take that money and invest it in properties that average $150,000 in equity with 20% down and 4% cash review. That would produce a ROE of about 15%, which would be a portfolio of around fifteen properties. If this move is executed, the annual cashflow goes up about $30,000 per year. With a proper strategy, a client could be producing enough cash per year to eventually purchase an additional property per year. Return on equity tells the client how to distribute a portfolio as well as when to redistribute. Hartman clarifies that another way to put it is “rebalancing”. What happens as a result is a great problem to have. He notes that he as taken this step in his own portfolio with properties that have appreciated to the point where rents don’t keep up. Performing a 1031 exchange has gotten him two properties for one. He states that this is one of the things that are much better with single-family real estate because the vast majority of the time they appreciate a lot faster than commercial properties. Doug adds that commercial property is purchased and sold rationally while single-family housing is not. Referring back to the portfolio example, Doug states that additional ROE per year has been produced. He mentions that as properties appreciate or go down in value, clients might wonder if its time to sell. He notes that if the property drops 10% and equity is low, the ROE is now sky high. If it produces income, there’s no reason to sell it. If you have a residence that has doubled in value and you’re sitting on the equity, you might want to sell the residence. He adds that you might not want to sell as well, because perhaps you like living there. There is an option to refinance the property so that you reduce your equity exposure and redeploy it somewhere else where you can earn a higher ROE. Hartman explains that for those who have been listening for a long time, he has said that there is no ROE and that it’s a fake metric of sorts. He states that the more equity you have, the worse the return gets. Less equity is better because you’re more leveraged. The concept of it not being a legitimate metric is stated so because the property will perform the same way regardless of equity. The property will either appreciate or depreciate. The property will also rent and bring in the same income regardless of equity. He gives an example stating that tenants never ask about equity or mortgage payments the landlord has. They don’t care, because they go by market rents rather than the owner’s circumstances. Doug states that in corporate finance, one of the reasons why return on equity is tracked is that it creates incentives for corporate managers to reduce the amount of owner equity on the balance sheet by paying dividends or performing shared buybacks. Hartman notes that he is telling his listeners to do the same. The same way the corporate bigwigs reduce is the same technique that he is using today. Doug closes by encouraging listeners to attend the Philadelphia Creating Wealth event and meeting with Jason Hartman on Sunday for a private portfolio review and makeover. Hartman welcomes Dr. Eric Pichet to the podcast. He’s the Professor & Director of Specialized Masters’ Program in Wealth Management & Real Estate Management at KEDGE Business School in France tuning in out of Paris. When asked about the global real estate market and how things have been booming in many parts of the world, Pichet explains that there is no such thing as a global real estate market, or even a national level market. Continental Europe’s markets are totally different from each other. Taking the capital city of countries, Pichet states that for offices in Paris, it’s about 1,000€ per square meter. France is just behind the US in terms of market cycle, he says. This is possibly the reason why there are some interesting investments available in Continental Europe. Hartman converts the numbers for listeners, explaining that there is 10 sqft to the meter. Pichet explains that when it comes to residential real estate rather than offices, there are many differences between Paris and big German cities. Paris is two or three times more expensive. He states that if you compare prices between Paris and provincial cities in France, you have 10-12,000€ per square meter, while in Nice it’s about 4,000€ per square meter. In provincial cities, it can be between 3-4,000€ per square meter. Hartman notes that he talks about the global real estate market frequently but would like Pichet’s input. Hartman helps people all over the world invest in United States real estate, and he splits the real estate into three markets: linear, cyclical, and hybrid. Cyclical markets have high-flying rents, and linear markets are the more boring markets that chug along steadily and have moderate appreciation. Hybrid markets are somewhere in between the two. When asked if Europe views markets in the same way, Pichet explains that European markets are relatively stable. Europe doesn’t see such important changes as what is seen in the US. The housing markets are relatively stable but there are huge differences between Paris and other cities in France. In Germany, there are six or seven cities around the same price. 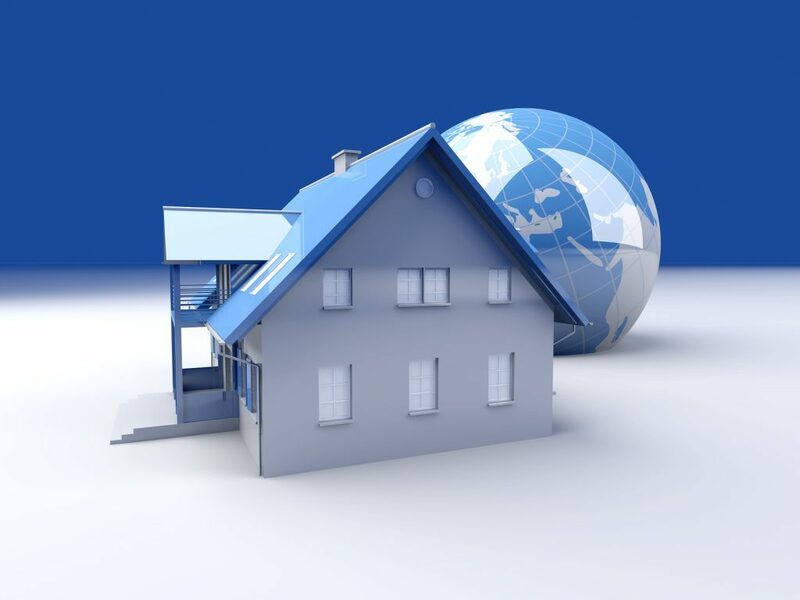 Global Real Estate Market: European Markets Slower Than US? Hartman refers next to appreciation and depreciation more than price. He explains that this is how we know which markets are linear, cyclical, or hybrid. In Europe, he assumes that the market is different and states that it seems like Europe has a more slow-moving market. It isn’t as active as the US with its disposable mentality. People move in this country an awful lot compared to European citizens. He points out that Europe also has more government interference in their markets, mentioning that Germany has quite a bit of rent control. Pichet adds that in different countries throughout Europe, the people speak different languages, so it isn’t as easy to blend in as it is in different parts of the US. There is also the issue of taxation, he says. When a person buys a home in Paris, they pay about 8% of the fees for buying that home or flat. Hartman clarifies by stating that when transaction costs are higher and both languages and currency vary, that along with government intrusion creates friction. The European market, for these reasons, is less fluid than the US market. Pichet agrees and adds that in Europe, there are people who are happy to stay in their flats or houses for thirty years. Many Europeans like to stay in the same place. Another thing he mentions is that if you work in Paris, forty years of employment is no problem. It’s ideal for many people to stay in the same place. Hartman states that he does not mean offense to France or Europe but notes that the US is more of a mobile country. People can change their status in the US more easily and with less government intrusion; there is more fluidity and volatility in US markets. In France, one can work in the same company for forty years because of their good labor laws. Pichet explains that a person can also change their job and stay in the same city. The friction is important to consider as well as the taxation. He reminds listeners that there is an 8% taxation on purchasing a house, which is tax only, aside from other fees. Pichet explains that France is in a cycle that changes roughly every seven years. There was a high in 1990 and a low in 1998. There was a new high in 2006, and for France in general, the housing market has a low in 2014. The country is again in an upside, but for Paris, there are complications. Because of the crisis in 2008, people were shaken due to the situation with the stock market and decided to buy in the States. He notes that Paris is a city with an important upside, and French people want to buy real estate because they’re concerned about buying something else. They pulled away from stocks and bonds. Hartman mentions cryptocurrencies and the crypto-mania, asking what the French view is on it. Pichet explains that the problem with Bitcoin is that it’s completely different from real estate even though people have compared the two. Real estate is a tangible asset while Bitcoin is an intangible asset. Though the technology associated with Bitcoin is innovative and useful, Pichet states that the legacy of Bitcoin will be the use of Blockchain. He states that while the system is important, his students and both educated and non-educated people want to use cryptocurrency as an instrument of speculation. He mentions that when you buy collectibles like stamps and you experience a bubble, you could have it burst and still have something material, the stamp. If this happens with Bitcoin and the bubble bursts, you have nothing. The intrinsic value of it is zero. Hartman states that Bitcoin people are like goldbugs in the sense that they say that both the dollar and the Euro are fiat currencies, which may be so, but they’re both backed by a military. Both are backed by the rule of law in different countries. Another cryptocurrency can be created tomorrow. Pichet refers to the telecom bubble in 2000, comparing it as a similar issue. Every bit of equity in this sector was booming and there was a lot of initial public interest where people wanted to buy everything. This is the same sort of bubble. Hartman states that people are buying Bitcoin with credit cards and home equity, and when it goes wrong, people are going to be in trouble. He mentions that he’d love to be wrong about it, though. When asked about how cryptocurrency is viewed by European banks, Pichet explains that there are two problems. One is that cryptocurrency has the word “currency” in it, but cryptocurrency is not an actual currency. It has no store value and no unit of accounting. A lot of people do not accept it. He mentions that at first, central banks didn’t consider it to be a serious thing, but now that it has $200 billion in capital, they’re taking a closer look at it. He states that Europe is now at a time where central banks are looking for ways to monitor or prohibit the use of Bitcoin. Hartman states that the meaning of monitor can also mean to regulate and/or prohibit something. He notes that South Korea is very much against cryptocurrency and warns that people will lose their money with it. Central banks and governments are going to shut it down. At first, they didn’t care, but that’s changing. Pichet explains that in the next few months, we might see that Bitcoin is being looked at as a tool for terrorism or money laundering, and central banks will prohibit it because of this.